Have you ever purchased a vibrant color of shadow that once applied appears rather dull? The key to making those colors pop is a white base. 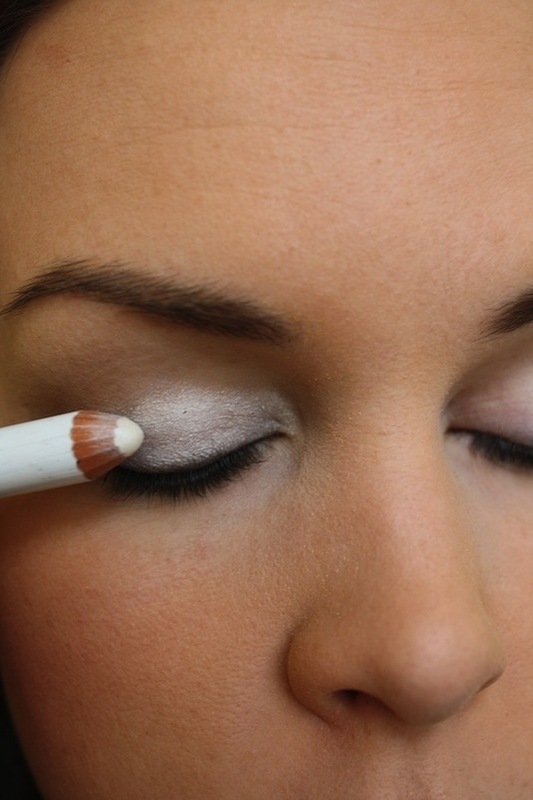 Use a white eyeliner and cover your entire lid before applying the color of your choice. 1. After curling your lashes, apply a thin layer of powder before applying your mascara. I just sweep a small blending brush across my compact and apply it to the top and bottom of my eyelashes. I’ve also heard that some people use baby powder, although I think they both have virtually the same effect; creating a base that makes them appear much fuller. 2. Apply two coats of mascara to the bottom and TOP side of your lashes, but wait 3-5 minutes in between each coat, otherwise they tend to get clumpy (not cute). 3. When applying your mascara, you don’t want to just move your mascara wand from the base of your lashes up. 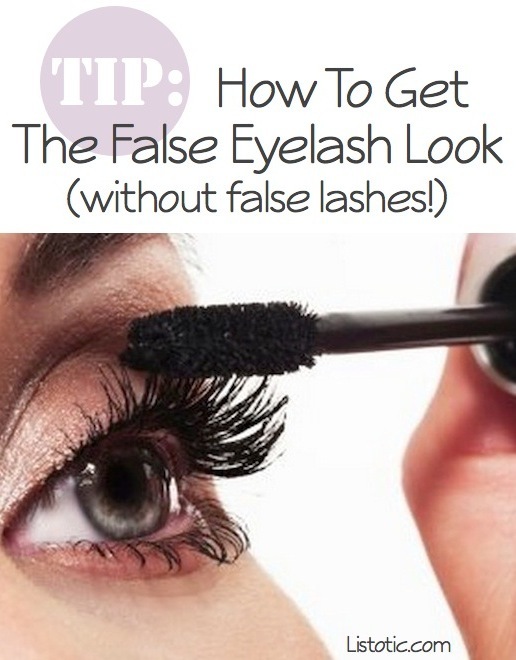 Make sure you are moving the mascara wand back and forth while going up. 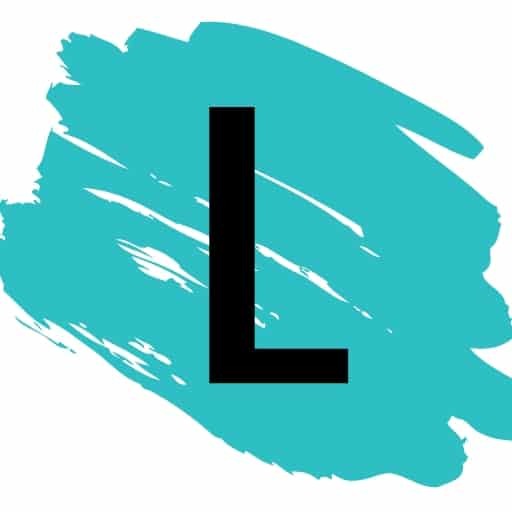 The left and right motion will make sure every lash is covered entirely, all the way to the tip. 4. Almost done! 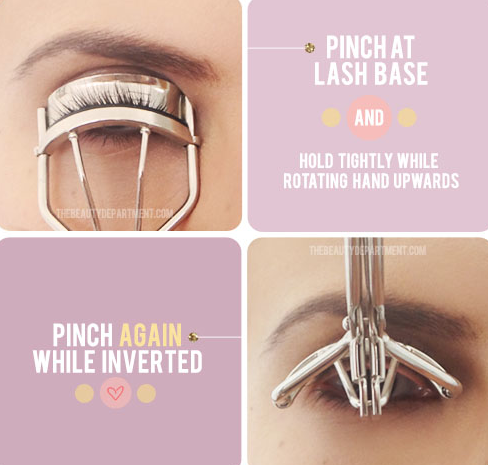 Now, check your lashes for any gaps. Use the tip of your wand to apply another coat of mascara to individual lashes where they look sparse. Even better, use a fine tipped liquid eyeliner to fine tune and fill in any gaps. Get the most out of your lash curler by pinching at the very base of your lashes, and then lifting the curler up into an inverted position. This creates double the curl and lasts much longer! View the entire list of Makeup Tips That Nobody Told You About.